Every year Squash Canada holds the Canadian Mixed Doubles. 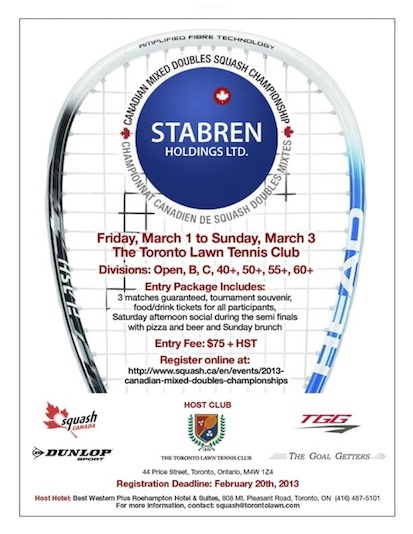 This event boasted The Toronto Lawn Tennis Club as the venue. Located in the heart of Toronto’s Rosedale area, the facility has been in operation for over 130 years. TGG was very proud to sponsor this event.